The Class Teacher is Mrs Crawford and the Teaching Assistant is Miss Stanley. A very warm welcome back, we hope you have had a lovely Easter break. Continuing our journey to Ancient Egypt, we will be exploring the discoveries made by Howard Carter and through our work on how the pyramids were built, will be exploring states of matter. We have a busy term ahead with a local history trip (Boston Hanse Big Dig) and our annual sports trip (the ski dome) coming up this term. Please make sure letters come back promptly and if you are available and willing to support on a trip please speak to one of the Year 4 Team. We learned fascinating facts about the Mona Lisa, before going on to sketch our own replica of the most famous painting in the world. We had to develop our close observation skills, really paying attention to the details in the picture in order to achieve a likeness. We discussed proportion and perspective and how these affected the finished picture. What an exciting start to the day on Monday! These little visitors were waiting in the classroom. Everyone had the chance to hold one - many said they had never held a chick before so we were very glad to have this opportunity! Unfortunately, there are no photos of the children holding them as Mrs Crawford was busy retrieving little chicks when they escaped from children's hands! However, the children can tell you all about it. What a wonderful experience we had celebrating the Festival of Colour on a beautiful sunny Friday! Thank you so much to the parents who came along and joined in, the children love it when you get involved. Thank you also, of course, to those who came to support from the sidelines, shouting encouragement! The children first explained the story of good triumphing over evil that is behind the celebration, and then went outside to throw liberal amounts of powdered paint at each other! The children went home very much more colourful than when they arrived! Everyone was very enthusiastic about dressing up for World Book Day and sharing their favourite books. There were some imaginative costumes, most of us would agree Miss Stanley in her roller boots was the most original! We had the all important vote to decide on the class favourite book, out of the three we have reading this week. Just a Dream won the vote for 4C, based on the moral message it gave, its exciting vocabulary and detailed pictures. Linked to our exploration of Holi, we have been learning about colour this week. We mixed colours to create a colour wheel, developing our understanding of primary, secondary and tertiary colours. Following this we went on to express the feelings Holi evokes through colour - the children chose bright colours to convey joy, happiness and celebration. We were very lucky to have a visit from Damien Fulker this week, as he explained the role of a photographer and the importance of capturing a moment in time. As well as discussing cameras and how they work, we spent the afternoon in the Reflective Garden learning about light and shadow and how they affect photographs. Using the ipads, we took many photographs in different light to compare and contrast the effects of different light. We then evaluated the photographs, discussing the angles and background in each. We were warned it would get messy, and it did! We were excited about drawing in charcoal, as we haven't used it before. Having been shown by our arty TA, Mrs Favell, how to use it, we went on to draw the birds we have been studying. Then came the test - peer assessment. Could everyone tell which bird was which? Most achieved this, as they had closely observed their bird, focussing on the features that made it different to any other, such as the shape of its beak or the spots and patterns on its feathers. We love poetry! This week we have been studying A Bird Came Down the Walk, by Emily Dickinson. Working in pairs, we memorised the words and put them to actions in order to perform the poem. After this, we identified all the nouns in the poem and changed them, thus creating our own poems by adapting this classic original. What a fun-filled week we have had! The making part of Design and Technology - sawing, gluing, cutting and taping. The children decided their feeders needed to be camouflaged and look natural to fit in with the garden. This was following their research where they found that most birds like overgrown, shady areas that allow them to feel safe from predators. A trip outside to gather twigs, leaves and grass, lots of glue and the newly invented feeders were ready! What a way to spend the afternoon - enjoying the sun and deciding whereabouts to hang our ingenious bird feeders! Having spent the morning creating these masterpieces, where to locate them to attract the most birds was the final part of the process. We were fascinated by the information we found about bird migrations and couldn't believe the distances that birds travel every year. We followed Titan's travels - a tagged turtle dove - and discovered that he flew from England to central Africa and back every year. We then used atlases to locate and identify the countries he passed through and over. For Internet Safety Day, we discussed the terms 'permission' and 'consent', watched a video clip about the importance of being aware of what you are giving permission for, particularly online, and thought about what personal information is ok to share. How to manage pressure from friends to share more personal inofrmation or photos than you want to was discussed. We finished with a quiz, the positive results of which showed we had been paying attention! We chose several objects, such as our Maths books, glue sticks and shoes, then had to estimate their width and length in cm before measuring carefully to see how accurate our estimates were. What a wonderful treat for Friday afternoon! Travelling by Tuba, the musical duo, entertained everyone as they taught us about unusual instruments. They involved the audience as well as playing the instruments themselves, which kept everyone engaged and loving the performance. We incorporated apparatus into our gymnastics travelling work today. The children had lots of original ideas for how to travel in different ways, moving carefully over, through and under the equipment. The children were very excited about performing their assembly to many of their parents and friends, thank you to everyone who was able to come. If any parents missed the event but would like to see it, please pop in to see one of the Year 4 team as we did record it. You are welcome to drop in and watch it on an ipad next week. Everyone did very well, saying their memorised lines clearly and loudly, as well as singing enthusiastically! Mnay parents have commented on how much their child liked the song and how often they heard it... Thank you to parents for your support with helping them to learn their lines too! We have dedicated our English lessons to researching Thomas Edison and his inventions. All our fascinating facts were collated into non chronological reports, and here are some examples of the hard work that went into including all the features required. These are now on display in our classroom so if any parents would like to pop in to see their child's work, please just speak to one of the Year 4 team. For our Science this week we investigated how a switch can control the flow of electricity through an electrical circuit. In small groups, we were challenged to apply our understanding to create a quiz game, in which when someone guessed the correct answer, the light bulb would turn on. The extension challenge was to design and create a burglar alarm! We were all very enthusiastic about these challenges and worked well collaboratively to find solutions. We have continued our scientific learning this week, with an investigation into materials that conduct electricity and those that insulate. A great side effect of the song we have learned is that is has helped us all remember the vocabulary and meanings associated with electricity. First, after considering the materials to be tested, we predicted whether they would conduct (allow electricity to pass through) or insulate (block it). Then we set about testing them. The children had to work out how to use the circuits to test the materials and all could discuss how they knew whether or not electricity was passing through. Year 4 combined learning to differentiate between acute and obtuse angles with team work and exercise this afternoon! Lots of fun and by the end of the lesson, everyone could order and compare different angles. What a busy week our first week back has been! The children are very enthusiastic about our new topic, Scientists and Inventors, some so much so that they researched over the holidays. They have amazed me already with facts they have found out through their own work. Our first inventor is Thomas Edison, the man credited with inventing the light bulb. However, we are learning that inventions don't come out of nowhere, they are built on what went before. The light bulb had already been invented, but it could only light for a few seconds. Edison, through hard work and determination (hallmarks of all inventors), discovered a filament which could burn for hours, thus making the light bulb a commercially viable product. To develop their understanding of electrical circuits, the children were given the components and challenged to make the bulb light up. It was tricky and took some investigating but in the end they all did it! In English we have been practising the vital skills of skimming and scanning, then taking notes. Choosing the key words that convey the meaning of a piece of text and recording them as notes, which then formed part of a plan for writing a report, kept the children focussed on researching Thomas Edison this week. What a fun day we had on Monday! First we went swimming and finished a wonderful term of learning to swim with a fun session - everyone loved the floats! 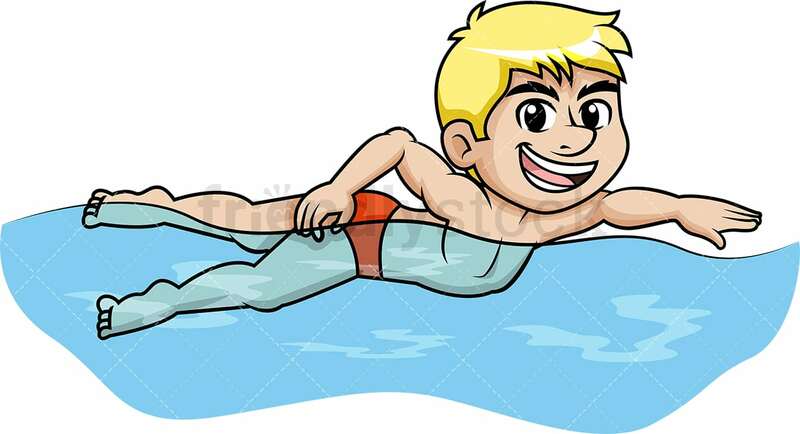 All the adults have been very impressed with the progress made by every child in their swimming lessons, it has been exciting to see them improve week after week, so a huge well done to everyone. Following the excitement at the pool, we had our Year 4 party in the afternoon! We played traditional games like musical statues and musical bumps, then a 'try to cut up chocolate with a knife and fork while wearing gloves' game before dancing and more games in the hall. Finally we ate the lovely party food parents had sent in for us and then went home for a rest! It was the school Christmas Fair on Thursday, and what fun we all had! It was great to see so many children and parents there, having fun and supporting the school. Thank you to everyone who bought one of the willow stars the Year 4 children made. There are a few of these left, so if you would like to buy one, please send your child with 50p and one of these beautiful works of art will be yours. After a huge amount of effort, as some of the children found sewing very tricky, the Year 4 stars are up on the hoop in the hall and they look fabulous! We have been learning about the digestive system in Science, and the children have found this a fascinating topic. We sparked even more interest with this very messy and hands-on experiment to help them understand the processes continually going on inside us - mostly without us even knowing it! Accompanied by a great deal of "Yuk!" and "Ugh!" this experiment showed the journey of crackers and bananas through the stomach (a bag which had to be squeezed), tights (playing the part of the small intestine), cups (in the role of the large intestine) and finally children all had a turn pushing the waste through a hole in the cup - excretion. One of the children commented, "This is the best lesson ever!" and one declared Science was his "absolute favourite, it's the best!" All the children are now able to describe each organ's role and the order in which they form the digestive system. We were busy today revising the grid method as a strategy for multiplying. Some of the children made videos demonstrating the method for others to learn, while others used worked in pairs, using the counters to show each other the steps needed to solve equations. We thoroughly enjoyed our Viking Wow Day on Friday, many children dressed as Vikings and came complete with accessories such as shields and axes! We began by learning about Runes, symbols the Vikings used to record information. We then conducted research to find out kind of food Vikings would have eaten. This led us to wonder - how do we know? It was over a thousand years ago- how can we possibly know what they ate? The answer lies in their poo! They had latrines in those times and these have since been discovered and examined. We recreated this experience in the afternoon, everyone was in role as archaeologists and in pairs we all dissected poo. Such fun! We were happy to see lots of parents come in to join us for this activity, and (literally) get their hands dirty. Each pair was able to determine whether their poo came from the Roman period, the Viking era or the Tudor times by the end of the afternoon, by using the clue cards to compare with what they found inside. We have been putting our sewing skills to the test by creating stars to go on the hoops in the hall when it is decorated for Christmas. We began by cutting out star templates, then pinning the two pieces of felt together - pins were the first big challenge for many! We reviewed running stitch, as we have previously learned this. Then we learned a new way of sewing, blanket stitch. It took a lot of practise (and patience, perseverence and determination!) but we have all managed to sew our stars together now. The next step was to sew on sequins to decorate the star. This is fiddly work but we are impressed with the final result! We have been busy learning new computing skills this week. Finding an image, then copying and pasting were our first steps. Subsequently, we learned to manipulate the size and shape of the image, then moving on to explore the colour and effects we could change or add. This learning will culminate in a lovely surprise for parents at the end of term! We were very excited to receive a surprise visitor on Thursday - Pudsey the Bear stopped in to visit every class in the school! Then the fun continued on Friday as we all dressed up and donated money to the great cause - Children in Need. We enjoyed watching the St Thomas Bake Off (top photo), the cakes were amazing! We helped pick the winners for both the Family entries and the Staff entries. We would like to say an enormous thank you to all the parents who entered and supported by either making or buying the cakes. What a lovely afternoon we had when parents came to join in with the children's learning. Building on the drawing art work we did earlier in the week, we changed the focus to a different medium and created dragon's eyes with clay. Children used a range of tools to cut out shapes and create patterns. They really enjoyed the opportunity to share their creative skills with their parents! Thank you for all the positive feedback following our open afternoon, we appreciate you all coming in to school to see how creative your children are in their learning. The children thoroughly enjoyed learning to highight with different grades of pencil. They all achieved amazing results as they sketched their dragon's eye, using dark and light, faint and strong lines. The children were very proud of their work, many of them said they thought this was the best drawing they had ever done! We hope you have had an enjoyable half-term, in spite of the sudden drop in temperature! Swimming continues on Mondays, while PE will be on Tuesdays this term. This is going to be an amazing and very busy term, we hope you're all ready! We didn't tell the children what was in any of the soups, so they did a blind test of four different flavours of soup. This was tremendous fun and some of the resulting faces pulled were hilarious (to those of us who like all of the flavours!). They gave each flavour a score out of five for taste, appearance and consistency and whether or not the Anglo-Saxons would have had access to those ingredients (carrots yes, potatoes no). At the end they considered which ingredients they would like to include in their own soup. In order to make soup, the children need to develop cutting, peeling and grating skills. They learned about the bridge and claw hold and were able to use these effectively (and safely!) in practice. Our English work this week included writing instructions for making Anglo-Saxon style soup and then considering the concept of persuasion, and how to achieve this, both verbally and in writing. We are working in small groups to create an advertisement for the Anglo-Saxon style soup. With phrases to describe the ingredients like, "juicy, fresh organically carrots grown in the fertile lands of Lincolnshire" and "perfect peas straight from their pods", who could resist buying it? Thank you to all parents for coming to Parents Evening this week, it was lovely to meet you all! This week we have been learning to weave using different media. We worked in a carousel of activities so we could try both willow weaving (this was tricky!) and wool (most found this easier). Look at the concentration faces! The children were proud of the results of their new skills. Weft and warp - let's get weaving! We learned about the history of weaving, particularly how many ways the Anglo-Saxons used the skill. They made clothes, rugs and blankets from wool and baskets and fences by weaving willow. We began our practice of this skill with paper and card. We were very proud of the results, especially those of us who found it quite tricky. As children kept saying, "This is really fiddly!" and by the end "This looks great!" and even a super confident, "I bet I could make some clothes now!" Science this week has been all about living things. We have been fascinated by invertebrates, starting with a hunt to see which minibeasts we could find and identify. Following this we learned how to create classification keys, devising yes/no questions which required close attention to detail. Next we applied our Art and Science skills through observational drawing. We were inspired by artist Levon Biss, who took photos of tiny invertebrates and enlarged them dramatically. We took small pictures of the invertebrates we discovered in our hunt and scaled them up. The results were amazing! Swimming - what a great start! All the adults were very impressed with the positive start the children made in their first swimming session of the term. Some were very nervous before they started but showed perseverance and determination by joining in and having a go in spite of their fears. Even better, all the children agreed by the end of the session that was was no need for those fears, swimming is fun! The eagerly anticipated trip to West Stow took place on Thursday and all the children were very excited. They maintained their enthusiasm all the way there, in spite of the long coach journey. First they were welcomed by the staff who explained how West Stow had been discovered and then reconstucted to look as similar as possible to how it might have really looked in Anglo-Saxon times. They explored the houses and some of the artefacts inside these, recognising many as a result of the learning we have been doing in school. They enjoyed dressing up in Anglo-Saxon clothing ("Itchy!" was the consensus) and trying on the replica Sutton Hoo helmet ("It is very heavy!" reported Miss Jeffery). The museum was full of genuine artefacts, discovered by archaeologists in the area. First we learned about how the Anglo-Saxons used to farm and how important it was - they had to be good at it, if they didn't grow food, they would have starved! We took on the role of Anglo-Saxon farmers, first clearing the area of weeds, then'ploughing' by turning over the soil, creating furrows and finally planting seeds. (We admit it may be optimistic expecting these to grow at this time of year but we're keeping our fingers crossed!). First we thought about all the jobs we do at home to help our parents (lovely to hear so many do jobs to help around the home), then we compared them to jobs we thought Anglo-Saxon children might have done. We thought about how the expectations for children have changed over time - eight year old children were considered to be nearly adults and had to work as hard. Only the very highest born in Anglo-Saxon society went to school. To help us imagine what it was really like doing some of the jobs we discussed we did several of them in the playground and then wrote diary entries about how it felt. There were some heart-felt paragraphs about how fiddly weaving is and what hard work grinding grain is! We produced great peices of writing as a result of our activities. Welcome back to school 4C! I hope you are as excited about this year's learning as I am! We have many exciting things planned for this term, mostly relating to our topic - Survival of the Fittest, which features the Anglo-Saxons this term and moves into the Vikings after half-term. The high point of our Anglo-Saxon work will be our trip to West Stow, on Thursday 20th September. Please note we have a long journey which means a very early start, the children need to be in school ready for the coach to leave at 8.15. Swimming starts this term on Monday 17th September. PE will be on Thursdays but we encourage children to leave their kits here until half-term so as to avoid weekly issues with forgotten kits. We appreciate your help with this. Parents can keep up to date by checking on this class page regularly or follow the Great Oaks Federation on Twitter @GreatOaksFed. If you have any questions or concerns please do not hesitate to contact Mrs Crawford or Miss Jeffrey. We look forward to working with you over the next year.